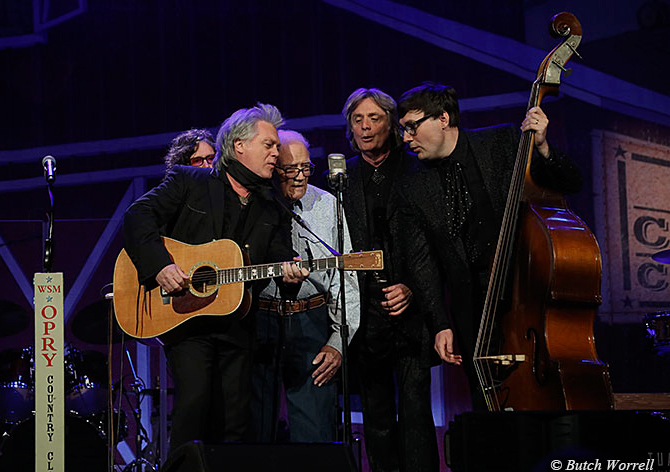 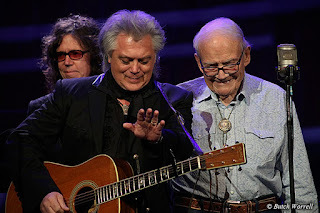 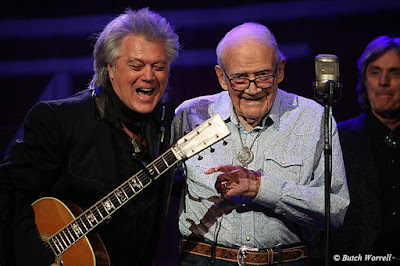 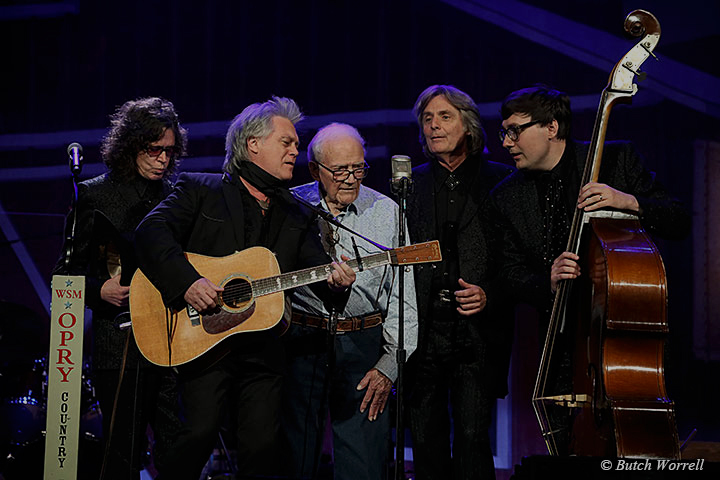 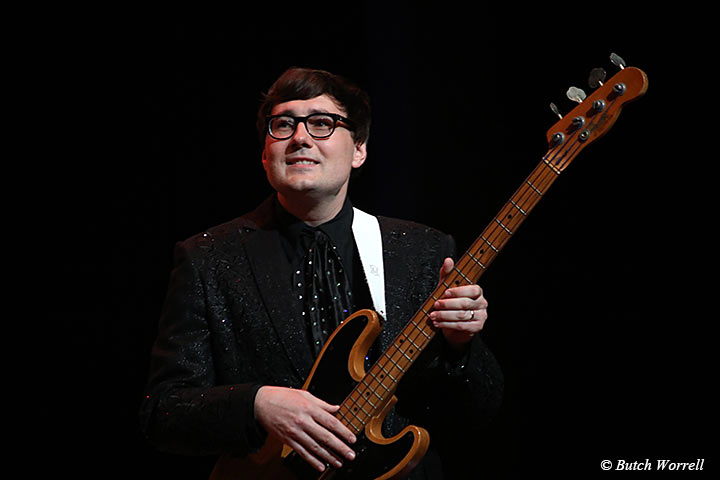 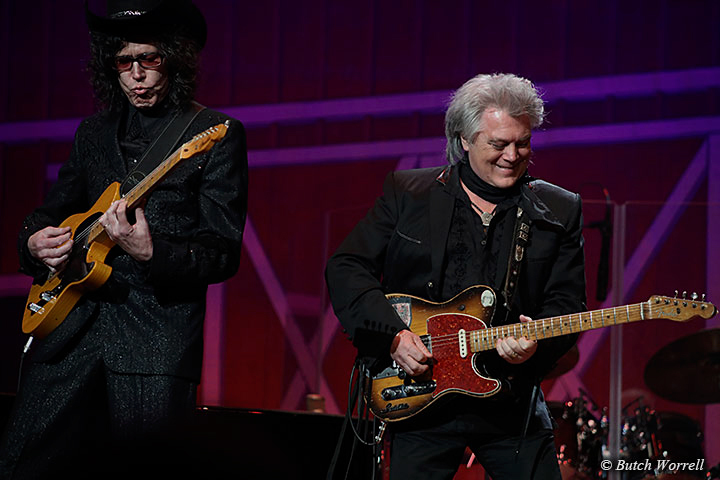 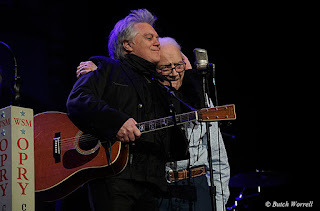 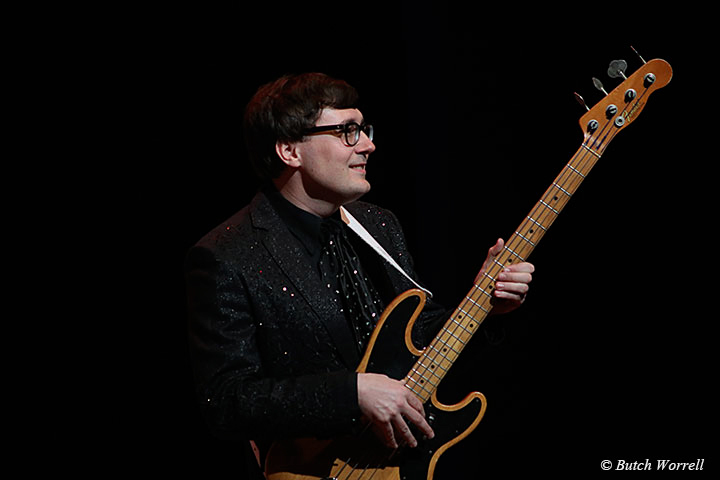 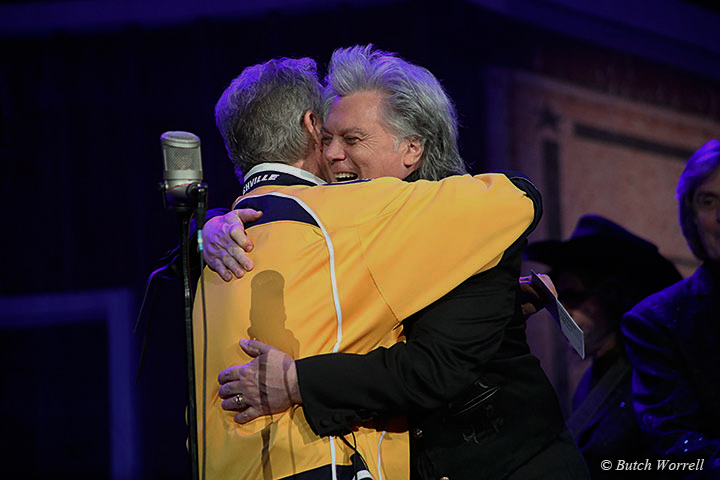 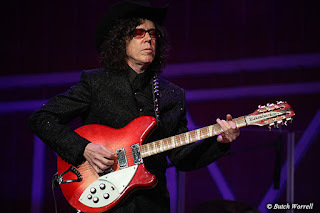 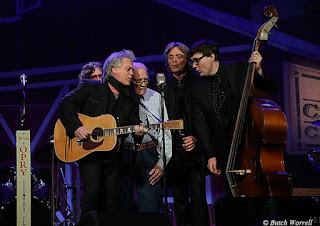 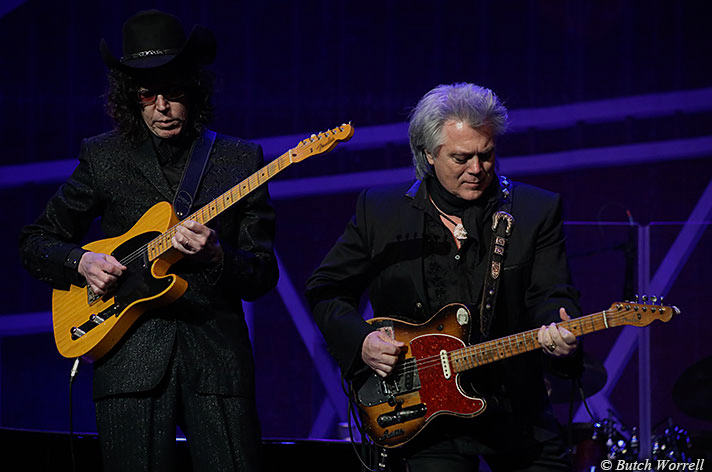 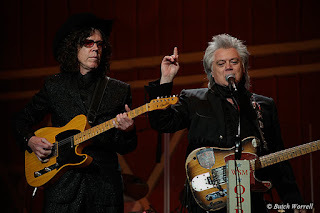 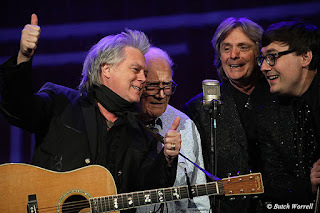 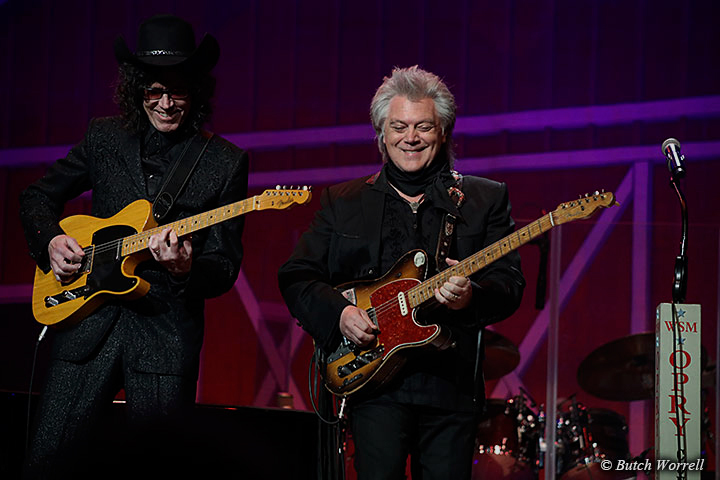 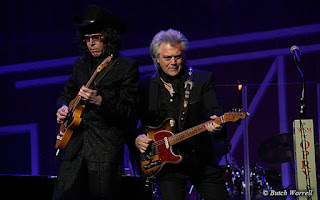 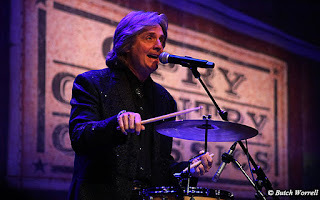 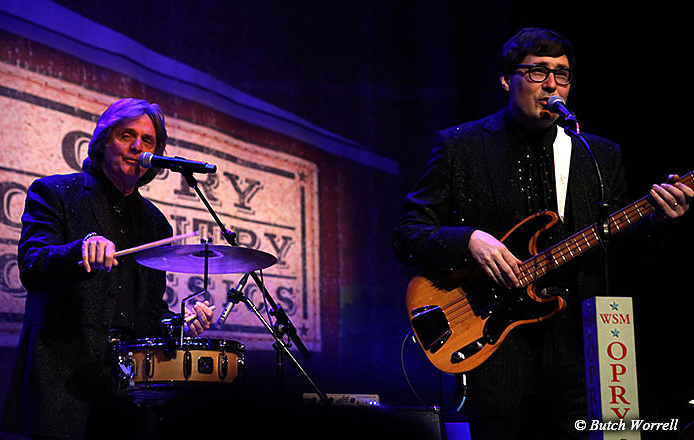 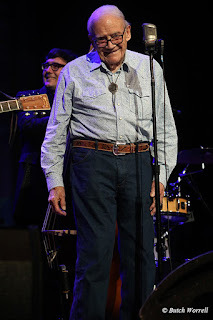 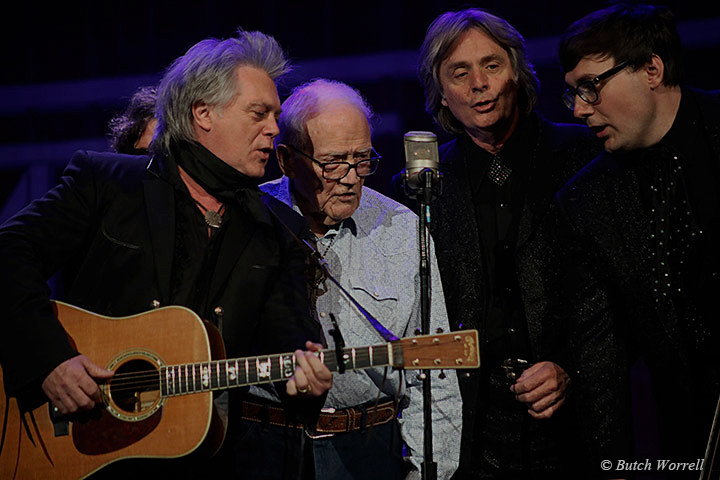 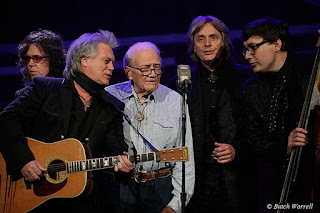 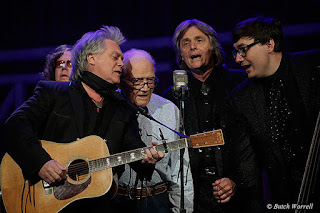 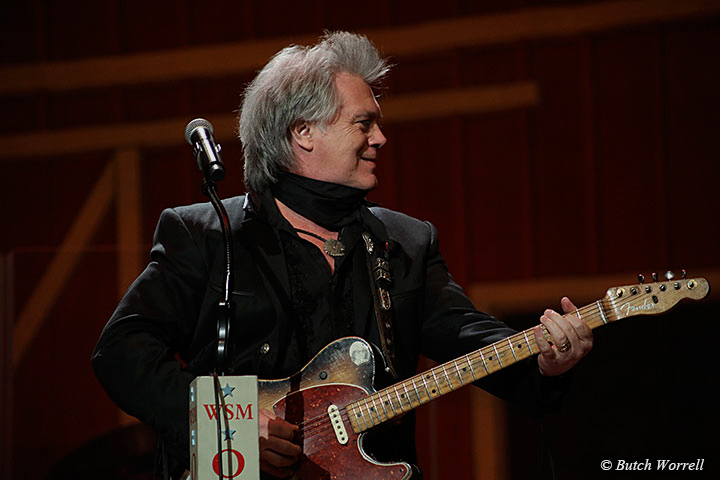 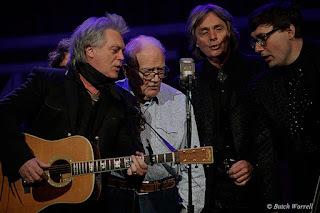 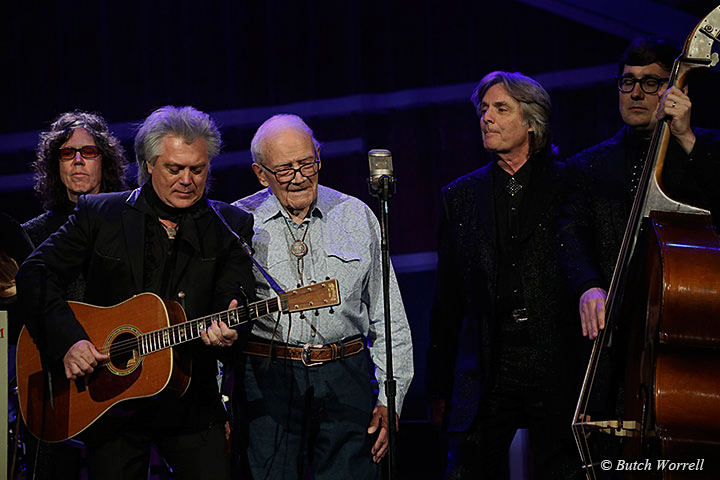 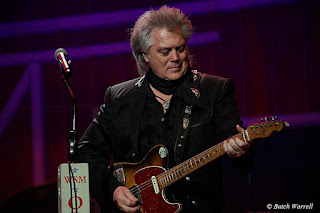 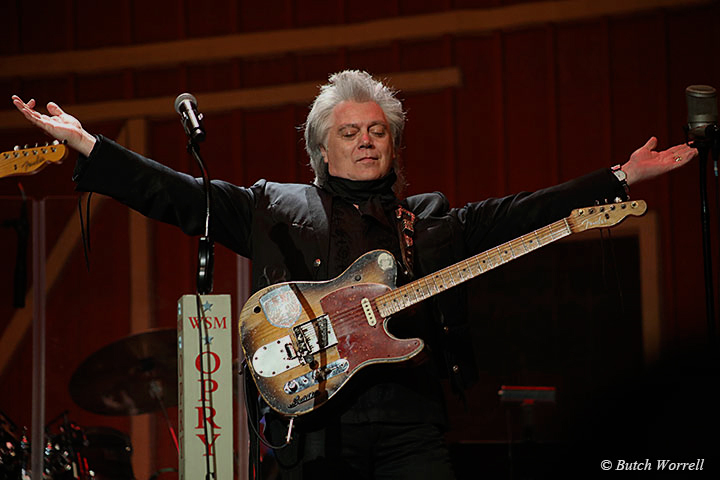 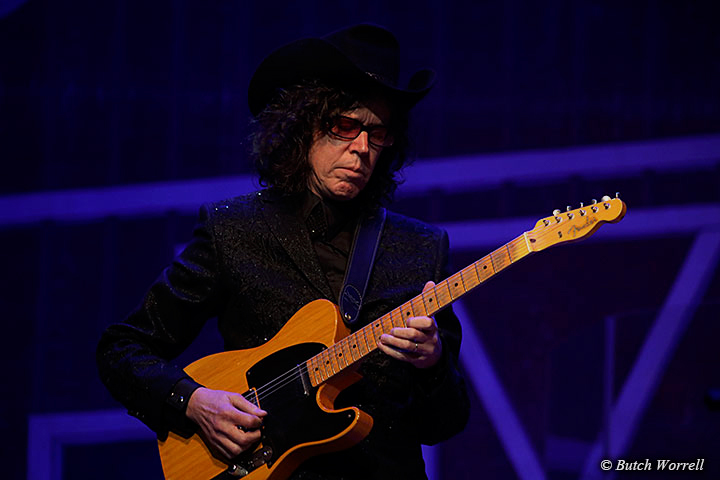 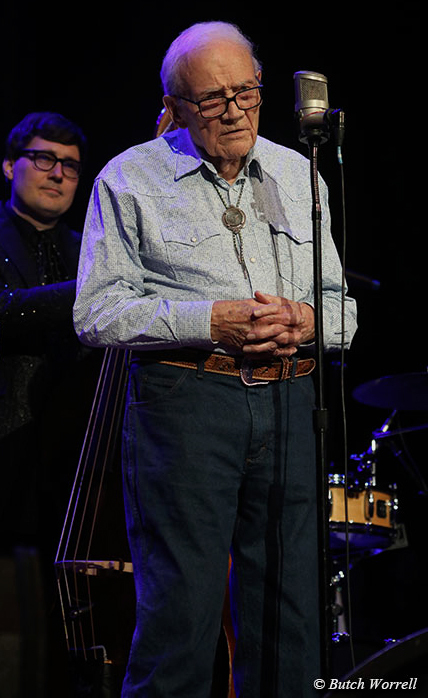 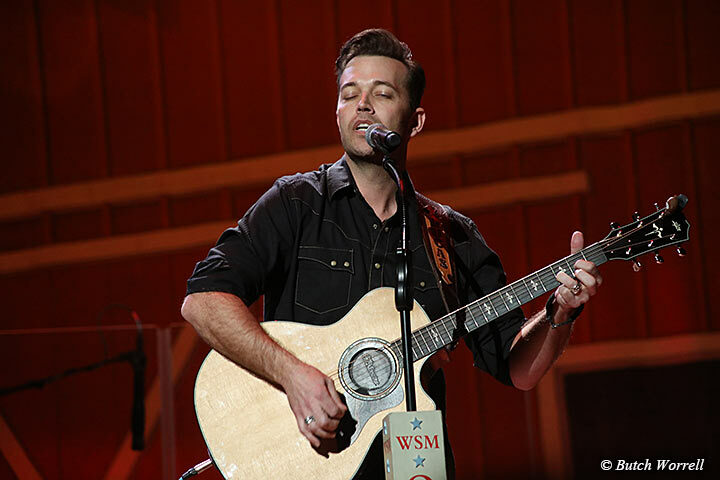 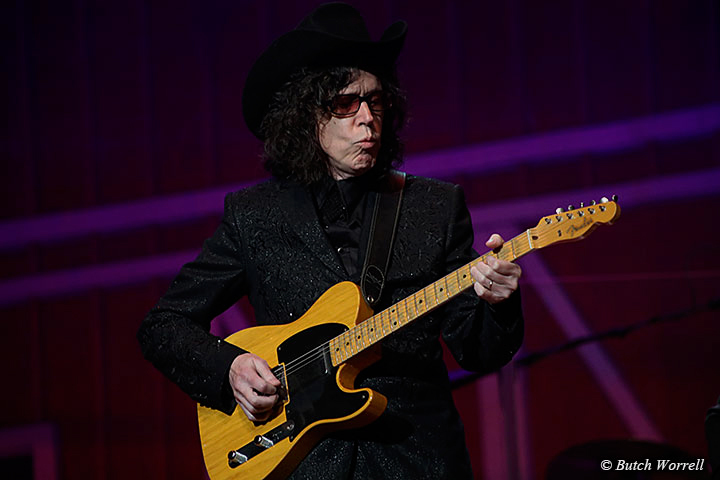 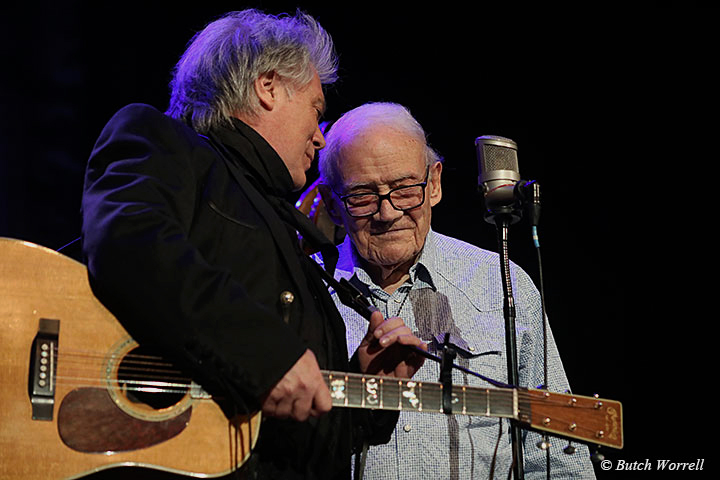 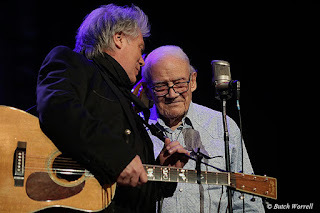 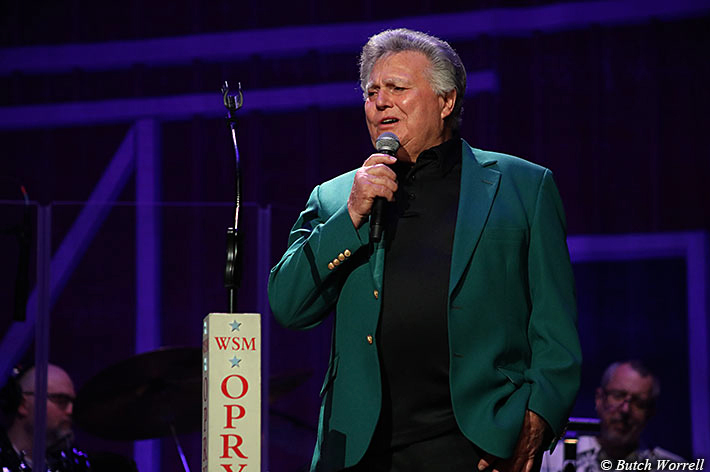 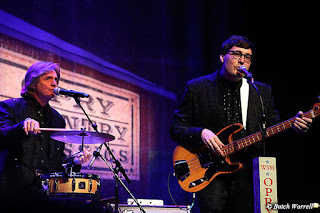 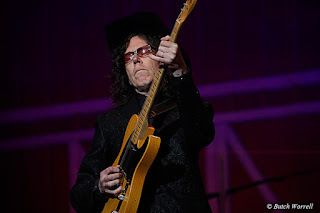 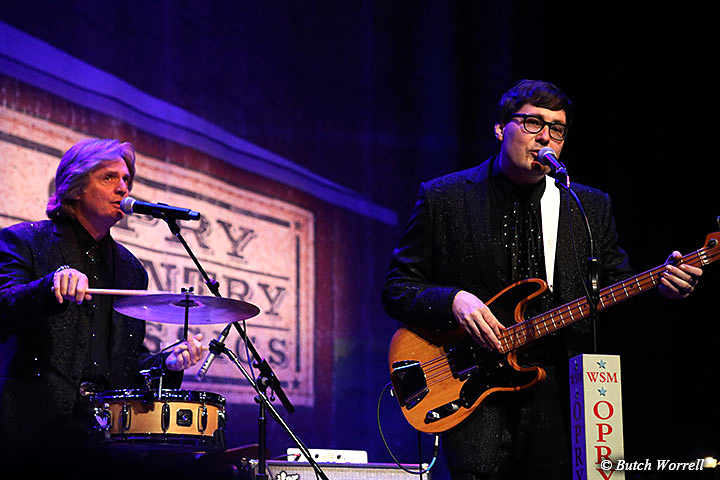 After a lifetime of photographing the artists on stage at the Ryman Auditorium Les Leverett took the stage to make his Opry debut singing with Marty Stuart and his Superlatives. 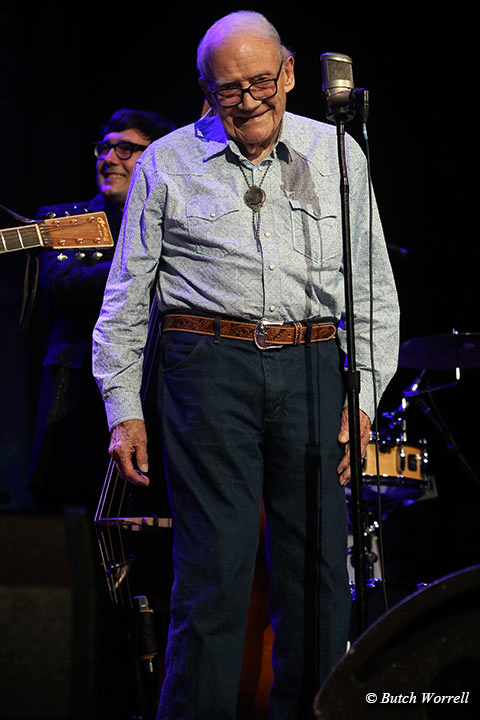 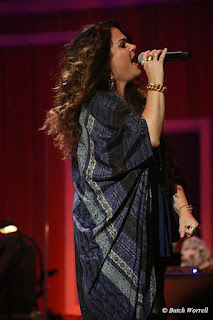 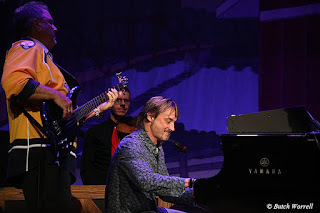 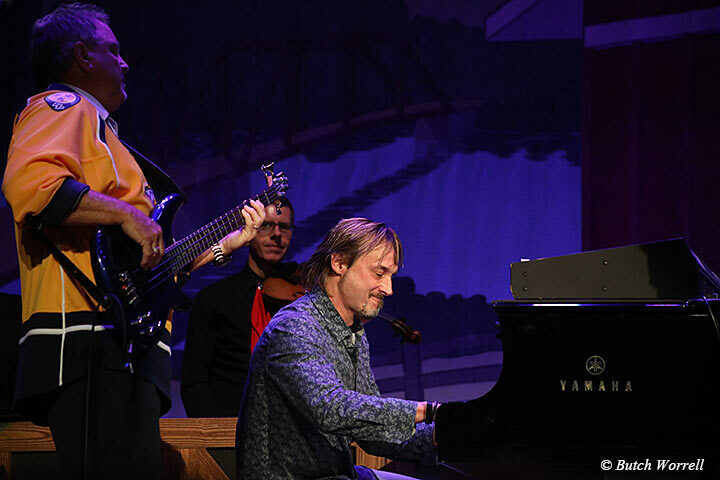 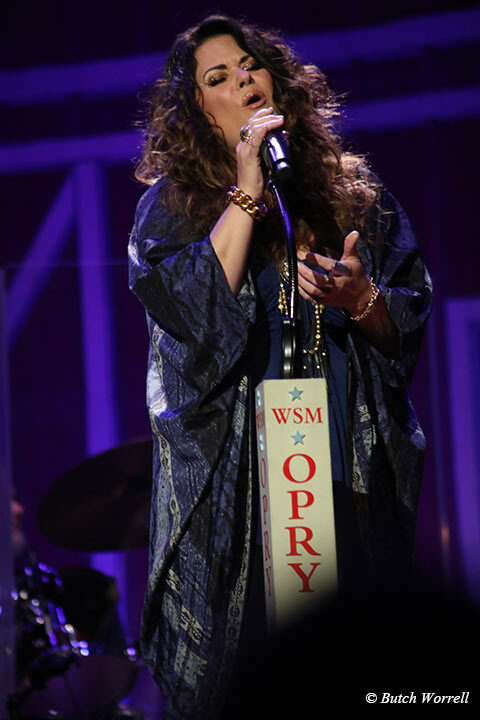 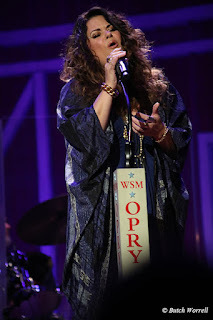 It was Opry Country Classics night which was very appropriate because Les himself is a classic. 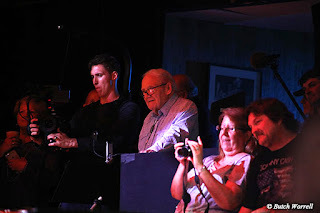 “There are photographers and then there is Les” said Marty when introducing him. 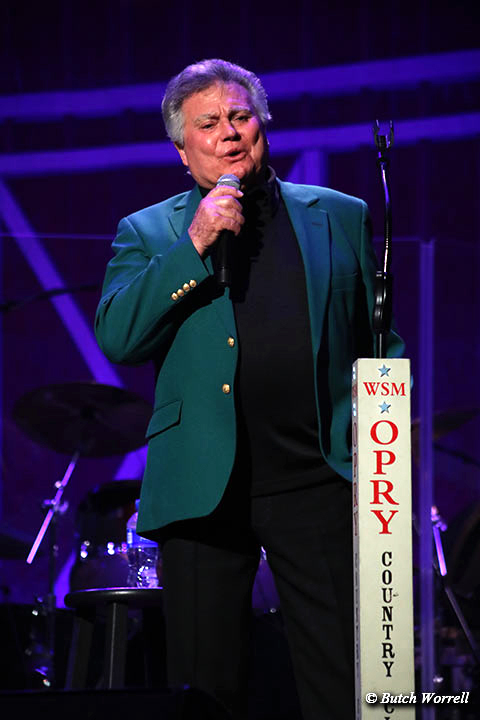 Besides his 32 year career as the official Grand Ole Opry photographer Les has 100's of album covers to his credit, some of which he received Grammy awards for. 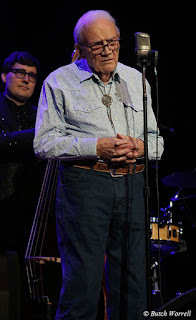 For the first time ever The Roy Acuff house (where Roy spent the last 9 years of his life), beside the new home of the Grand Ole Opry has been opened to the public for a special exhibit, “Family Reunion, The Opry Family Photo Album” which features his photos, many never before made public. 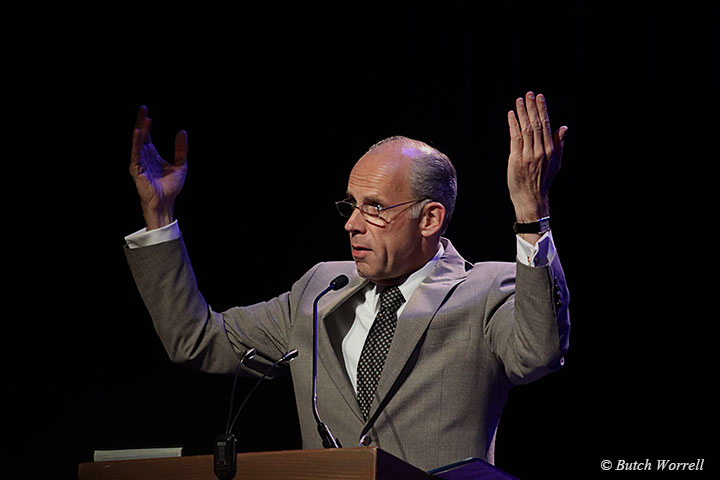 A link to the exhibit is posted at the end of this article. 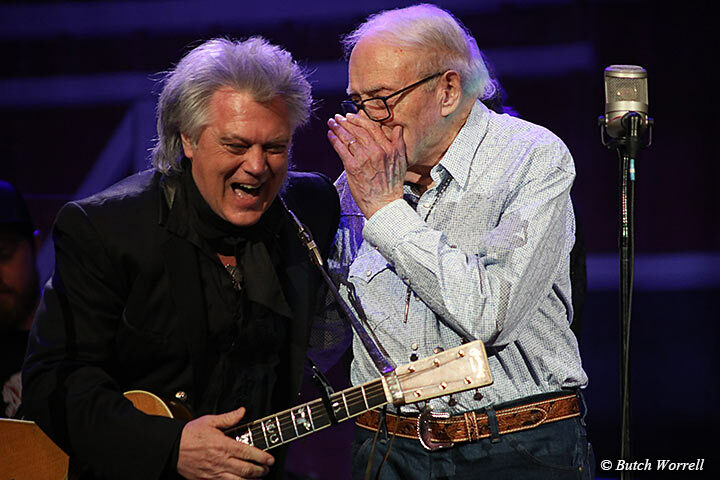 His appearance was at the urging of Marty Stuart, a lifelong friend, who felt his singing talent deserved a showcase. 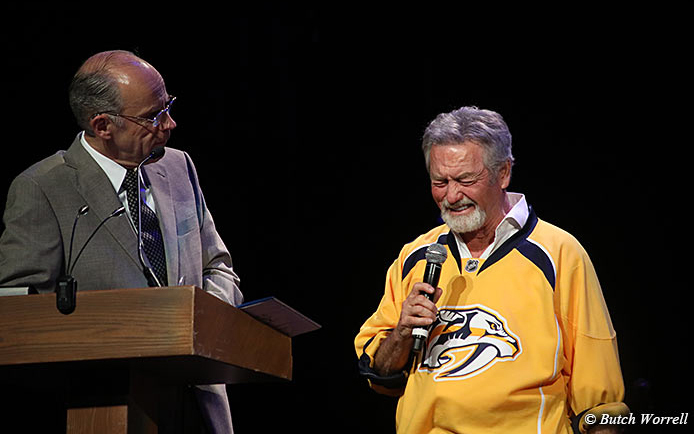 His part on “Have a little talk with Jesus” earned him a standing ovation well deserved. 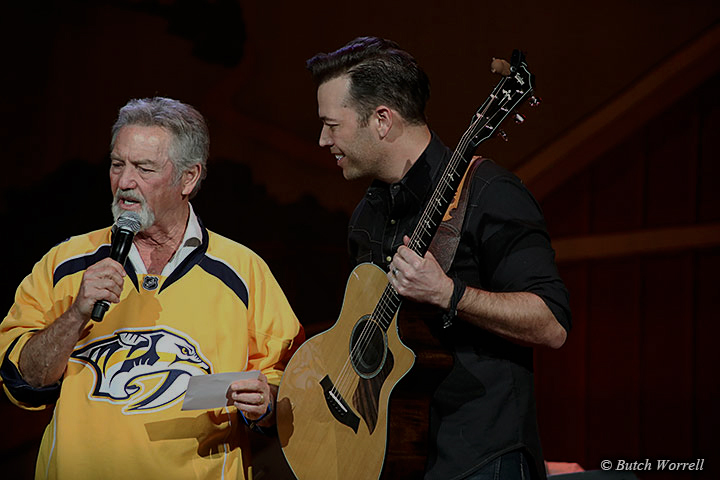 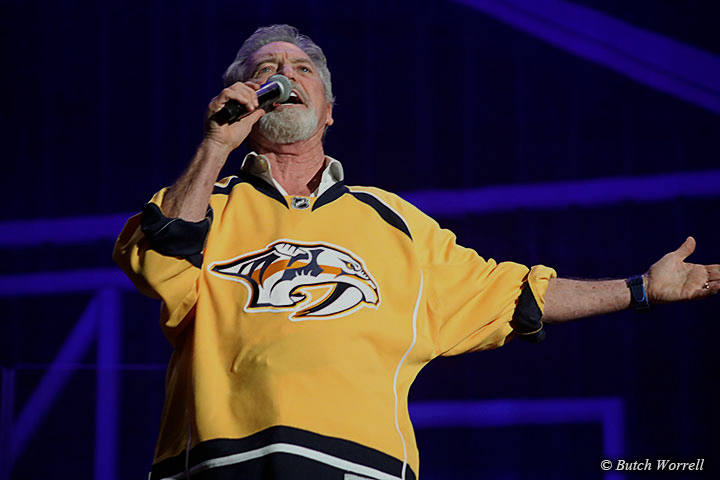 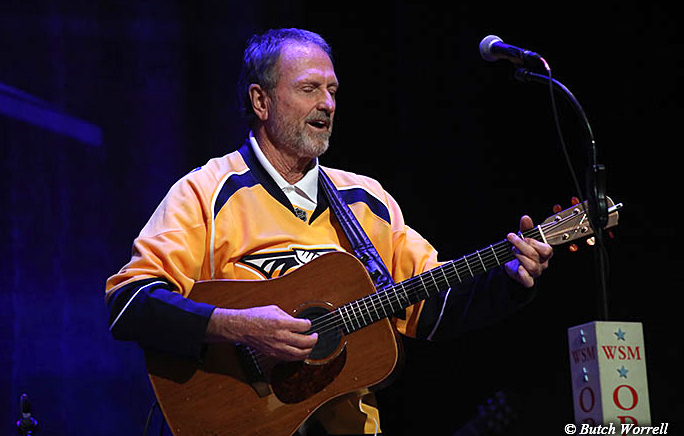 The show announced by Eddie Stubbs (termed a “walking encyclopedia of Country Music”) and was hosted by Larry Gatlin and the Gatlin Brothers who sported their Predator jerseys because of the game that night. Unfortunately the Canadian team from Winnipeg beat the Predators as the look on Larry Gatlin's face shows in one of the photos. 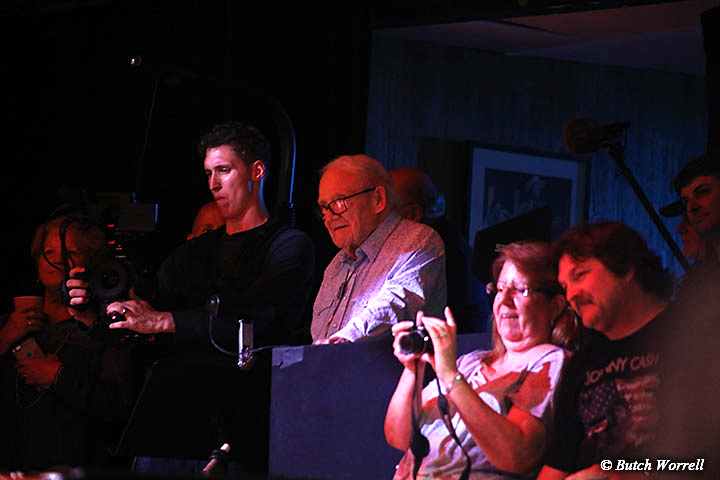 Also appearing was Leroy Van Dyke, Shelly Fairchild, and newcomer Lucas Holt.